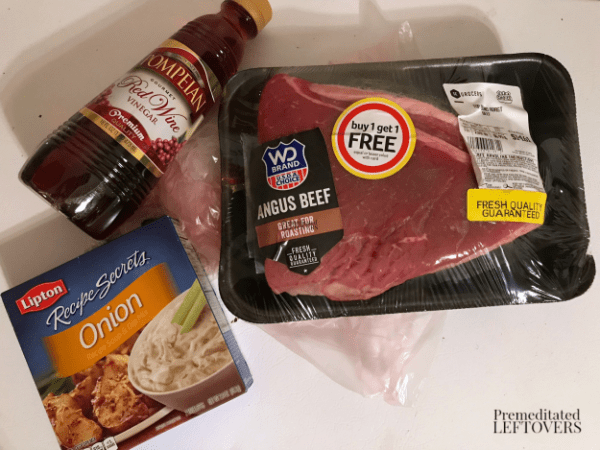 The Best Slow Cooker Pot Roast Recipe - Only 3 Ingredients! 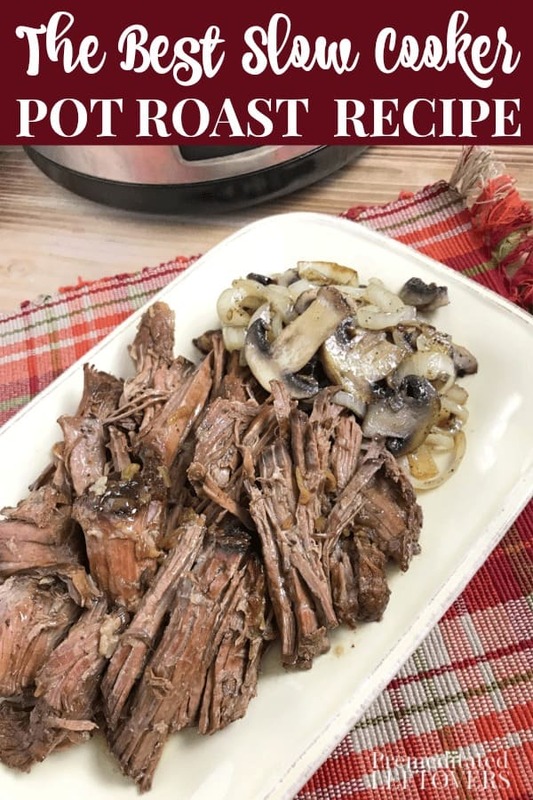 If you love pot roast that falls apart as soon as you touch it with your fork this Slow Cooker Pot Roast Recipe is a must add to your collection. No matter how many fancy small appliances come along I will always have a special place in my heart and on my counter for my Crock-Pot. 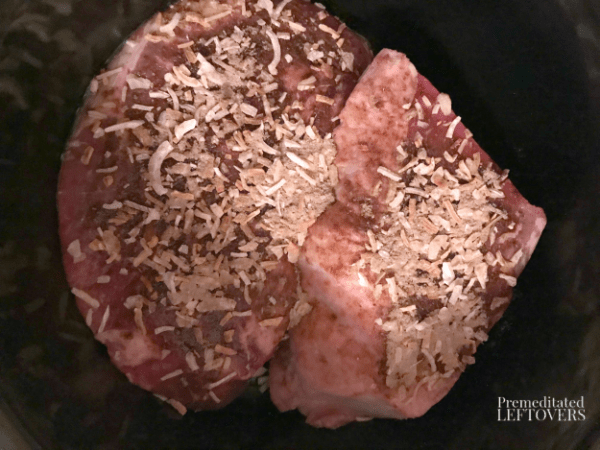 I use it often, like when I make this Crock Pot Roast Recipe. Nothing can replace that low, slow heat that tenderizes and infuses flavor into even the toughest cuts of meat. 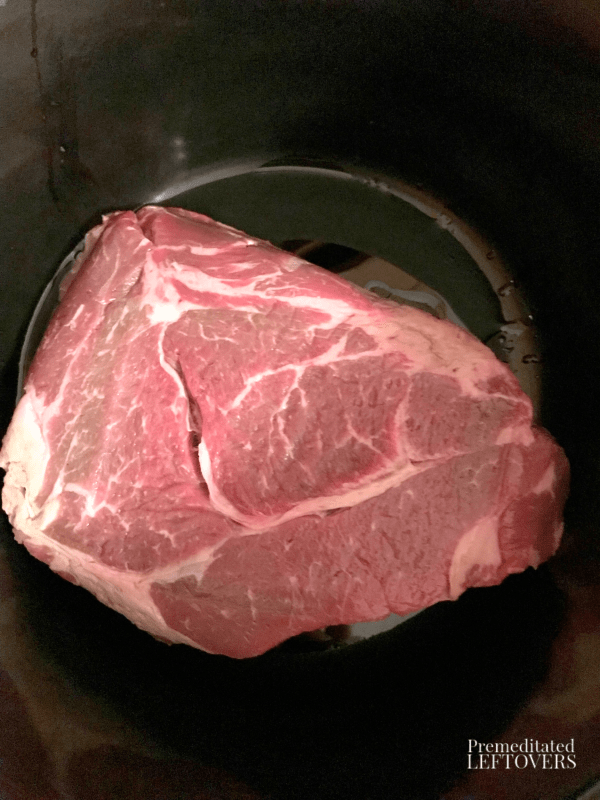 Which cuts of beef work best for Pot Roast? Tough cuts of meat actually make tender pot roasts, especially when cooked in a slow cooker. No matter how you cook a pot roast, low and slow define the cooking process. 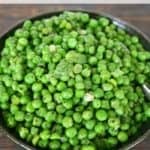 You cook it at a low temperature for a long period of time. The tougher cuts, such as lean cuts with lots of connective tissue and very little fat are the best cuts to use. When cooked at a low temperature for 6 – 8 hours, the high amount of collagen in tough cuts breaks down, which tenderizes the meat. My favorite cut is a type of chuck roast called a cross rib roast, but any chuck roast cut will work. In addition to a cross rib roast and chuck roast, look for chuck under the following names: shoulder steak, boneless chuck roast, chuck shoulder pot roast, chuck seven-bone pot roast, or beef chuck arm. In addition to round roast, look for it under the names rump roast or bottom round. You can find brisket in 2 different cuts. The flat cut is leaner while the point cut has more fat. Either cut will work in a Crock Pot. Don't forget, brisket is best sliced against the grain of the meat for maximum tenderness. 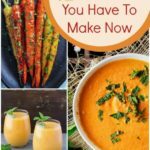 Cooking a roast in the slow cooker is so easy! Just toss it in and forget about it…at least for 8 hours anyway! It really is that simple. Just place the roast in the slow cooker. Sprinkle the onion soup mix over the roast and rub it in. Then pour the red wine vinegar over the soup mix. Place the lid on and cook on low heat for 8 hours. Do you have to brown a roast before putting it in a Crock-Pot? No, you don't have to brown a roast before putting it in a slow cooker. However, if you prefer to brown it first, you may. If you have a slow cooker with a searing function, it is easy to brown the roast in the pot before slow cooking it. No, there is no need to add water to the slow cooker when making pot roast. The roast will release fluids as it cooks and the slow cooker lid will trap most of the released liquids, so you don't need to add aditional liquids. 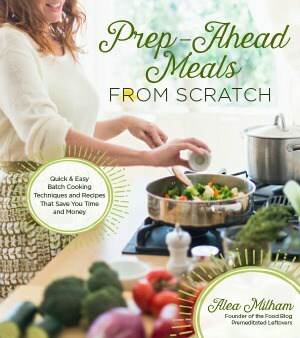 Pour olive oil in the bottom of the slow cooker liner or spritz with nonstick cooking spray. Place beef roast in the crock with the fatty side up so the fat drippings baste the roast as it cooks. Rub onion soup mix into all sides of the roast. Pour red wine vinegar over seasoning. Cover with lid. Cook on low for 8 hours or until fork-tender. Pull apart roast using two forks and serve. 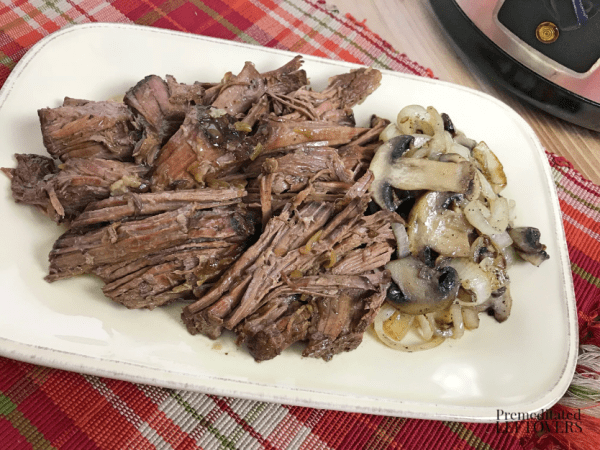 An easy Crock-Pot Roast recipe that uses only 3 ingredients. 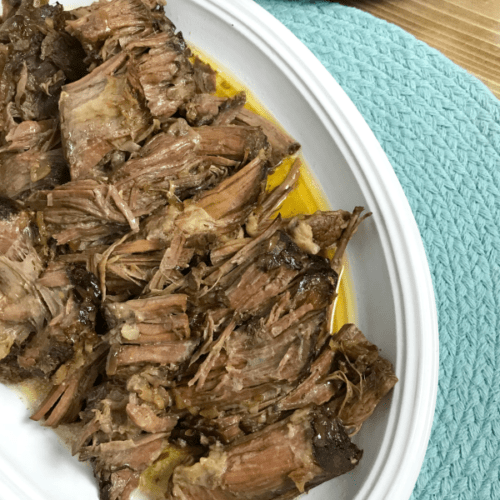 I love making slow cooker pot roast. However, I pour a jar of mild or medium salsa over the roast and set it for 8 hours. 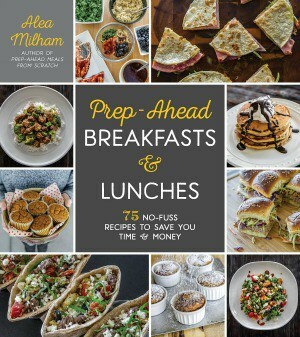 Pull it apart with two forks and make shredded beef burritos. 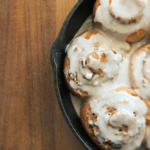 That is a delicious (and easy!) idea! Thanks for sharing!